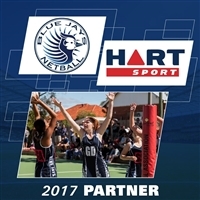 Blue Jays was born in 1977 when the “mums + 1” from the Wilston Grange U16A team decided to give netball a go themselves. Not wanting to play on Saturdays, they cast around and settled on the BNA’s Wednesday night competition. Blue Jays has been a presence at Bradbury Park since that first season. From those humble beginnings, Blue Jays has grown to be one of the largest clubs playing fixtures at Bradbury Park. This gives us the ability to cater for players wishing to play more socially as well as the senior and junior players wishing to push themselves in a more competitive environment. We strongly encourage our players, parents and supporters to get involved and will assist prospective coaches and umpires to gain accreditation to further develop the quality of netball for us all.